, que quedà constituida per als propers tres anys en l'Assemblea General de la SCQ, cel.lebrada el passat 14 de desembre. La Societat Catalana de Química és una filial de l’Institut d'Estudis Catalans adscrita a la Secció de Ciències i Tecnologia, té per finalitat promoure el conreu de la Química, fomentar-ne la investigació, difondre’n els resultats en les terres de llengua i cultura catalanes i promoure la renovació dels seus aspectes pedagògics, així com la seva projecció social. Nora Ventosa, ICMAB researcher, is the vice-president of the new Board of the Catalan Chemistry Society (SCQ), which was constituted for the next three years in the General Assembly of the SCQ, held on December 14. 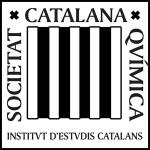 The Catalan Society of Chemistry is a branch of the Institute of Catalan Studies attached to the Section of Science and Technology, aims to promote the development of Chemistry, foster its research, disseminate the results within the territory of Catalan language and culture and to promote the renewal of its educational aspects, as well as its social projection.